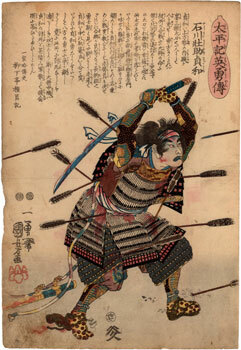 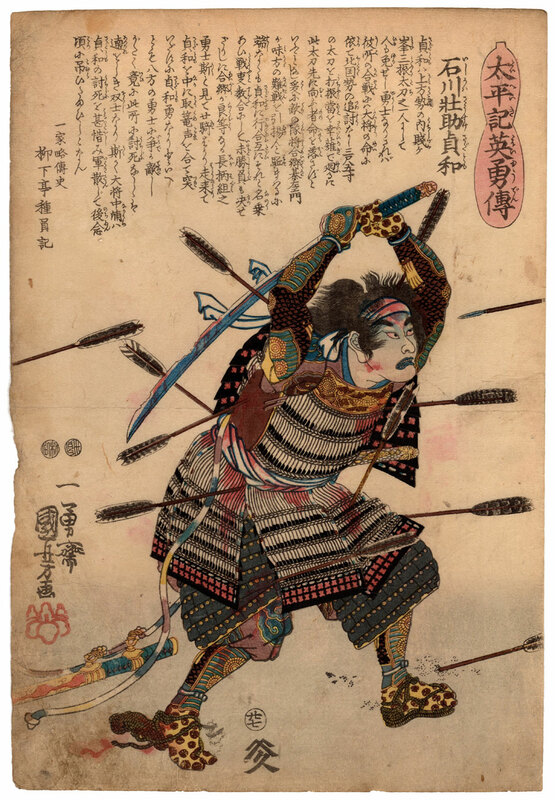 In this important woodblock print of the musha-e (武者絵) type, made around 1847 by the famous artist Utagawa Kuniyoshi (歌川国芳), we see the warrior Ishikawa Sosuke Sadatomo (石川荘助貞和), fictional name of the historical character Ishikawa Hyosuke Katsumitsu (石川兵助一光), pierced by numerous arrows while wielding his sword damaged in several points during the heated battle of Shizugatake (賤ヶ岳の戦い) in 1583. 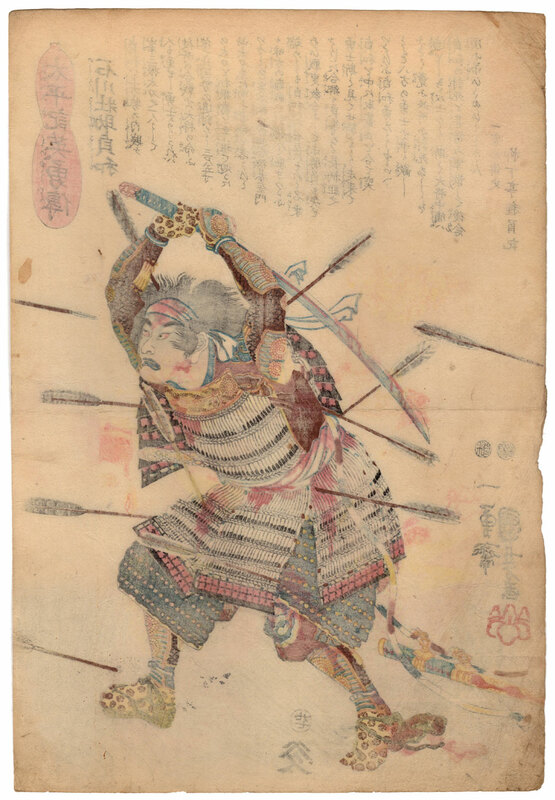 The print, of vertical large oban (大判) format, is taken from the Taiheiki Eiyuden (太平記英勇傳), that is from the "Chronicles of the Heroes of the Great Pacification", a series that, although in the title refers to the famous literary work of the fourteenth century attributed to the monk Kojima (小島法師), depicts instead some of the protagonists of the civil wars that bloodied Japan in the sixteenth century. 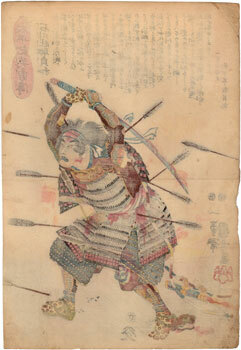 The work on Japanese washi paper (和紙), published by Yamamotoya Heikichi (山本屋平吉), shows the right signs of the time.